Right off the bat, Life Is Strange, Episode 1: Chrysalis is atmospheric, wordy, and deliberately paced. This is a pretty clear sign of what we’ve come to expect from the episodic story-game style made popular in recent years by Telltale. And while there are plenty of parallels to draw between Telltale’s iconic “every decision makes a difference” style of storytelling and Dontnod Entertainment‘s latest entry into the adventure genre, I found that there was a lot that set Life Is Strange apart. 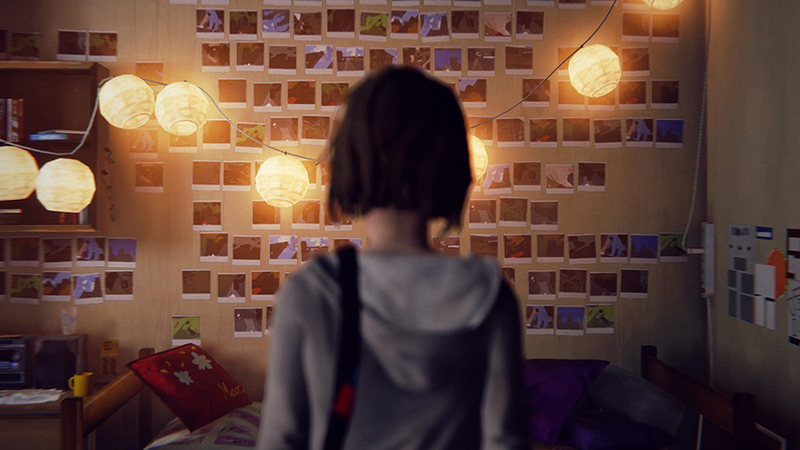 Life Is Strange, Episode 1 introduces us to Max Caulfield (Holden‘s little sister? ), an eighteen year old student of photography at Blackwell Academy, an elite private school in Oregon for the very gifted or very wealthy. Max is bookish and shy, and concerned with many of the usual fare that would concern a high school student: her future, insecurity, and the politics of popularity. She is also concerned with her newfound ability to rewind time, and a series of dark prophecies that suggest a sinister fate for her small town of Arcadia Bay. But we’ve all been there, amirite? 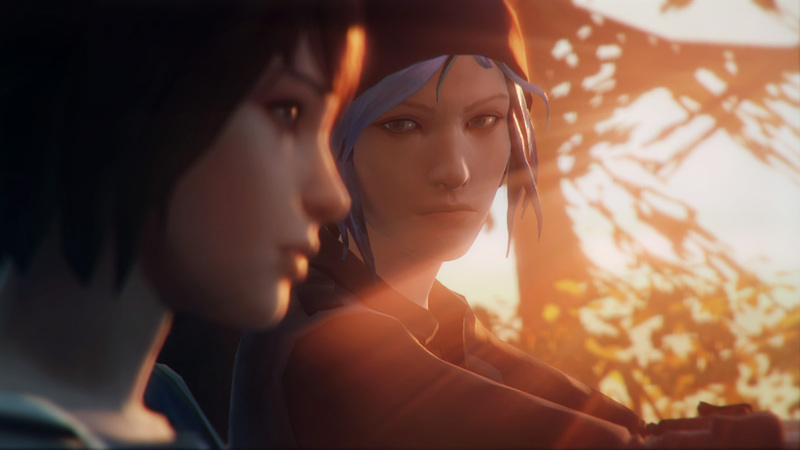 The story of Life Is Strange does an admirable job of surrounding you with both of those dynamics. You’re awash in the minutia of being a student–I found myself getting a genuinely familiar feeling (dare I say it: nostalgia) during the classroom bickering, angst-driven relationships, and general sense of looking for oneself. It all fits together as naturally as the indie-rock soundtrack. The characters and their lives are all displayed fairly realistically, even if some of the dialogue feels like it was written by someone who admires Diablo Cody a little too much. On the other side of Arcadia Bay, you’re also swept up in something far grander and darker than you initially know what to do with. Troubled students brandish guns, authority figures abuse power (or try to), and Max slowly begins to unravel the mystery of a missing student–someone she never knew, but cannot escape. More than anything else, the “school spirit with a sinister underbelly” setting combined with the time travel mechanic makes Life Is Strange remind me of Donnie Darko. Add in a smattering of Twin Peaks oddness and “missing girl” mystery, and you’ve got a story that leaves you feeling curious and unsettled. Dontnod has done a great job at leaving you wanting more, and engaging you with a setting and plotline that feels urgent and foreboding. The time travel mechanic is done well, and they give you plenty of opportunities to use it. Initially, it feels like it simply fills the same role as loading a previous save game in any other adventure. Give a challenge a try, fail, learn the right answer, hit rewind, try again. But as the episode wears on, you learn different tricks to make this power more than a little unique and useful. Dontnod has been anything but shy with the many Easter Eggs that it’s hidden throughout the game, and I’d like to see them use the same sort of varied approach with the Rewind Time feature. I really enjoyed the couple of hours I got to spend in the first episode of Life Is Strange. As far as the beginnings are concerned, Dontnod has done everything right. I love the characters of Arcadia Bay–I love its gloom and shadow. I love that there were far more decisions to make that were implied to have an effect on Max’s future than you usually get in an adventure game these days. Whether these decisions pay off in a satisfying way is yet to be seen, but based on the care and thought that’s gone into Life Is Strange thus far, I think that we have reason to be optimistic. ← The Games Workshop Steamroller Marches On!